If you need photo only body this one is a steal. Superb build quality, good and bright viewfinder. Sealed. You can regulary watch ebay for other K20D deals. Marketplace at http://www.pentaxforums.com is also perfect place. Wow. It has excellent shadow details. My people have dark hairs and dark eyes. So it's important to bring out dark details. Other than the excellent DR, water sealing body, and built-in IS, what else do you like about it? What Pentax lenses do you recommend? 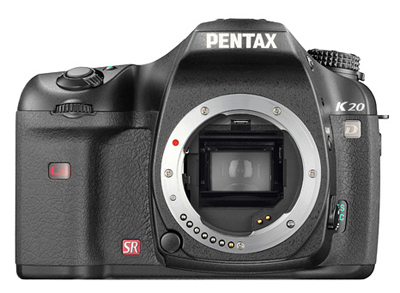 >What Pentax lenses do you recommend? Go to pentaxforums.com. Their lenses section in among best in the world. It all depends on the task, in fact. As you could start with M42 Takumars, for example. But normally WR kit lenses are recommended if you need to get dirty (for starters :-) ). GH2 is prolly good enough body for me. Taken w/ 20.7mm. I feel invincible at 1/2000 shutter speed. Hehe. I have their kit-lens; the 18-55mm and it's pretty awesome! I'm using it on the GH1 but still, very very good. I have several other of their budget lenses too and all are awesome. Their budget lenses are some of the sharpest in their class - actually they transverse classes and place favorably along side semi-pro lenses. ORLY? $1K? You meant 4 or 5 second-hand lenses?